Gonadal shielding remains common, but current estimates of gonadal radiation risk are lower than estimated risks to colon and stomach. A female gonadal shield may attenuate active automatic exposure control (AEC) sensors, resulting in increased dose to colon and stomach as well as to ovaries outside the shielded area. We assess changes in dose–area product (DAP) and absorbed organ dose when female gonadal shielding is used with AEC for pelvis radiography. 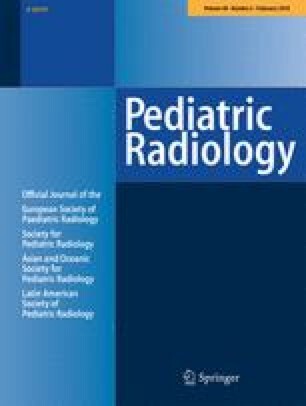 We imaged adult and 5-year-old equivalent dosimetry phantoms using pelvis radiograph technique with AEC in the presence and absence of a female gonadal shield. We recorded DAP and mAs and measured organ absorbed dose at six internal sites using film dosimetry. Female gonadal shielding with AEC increased DAP 63% for the 5-year-old phantom and 147% for the adult phantom. Absorbed organ dose at unshielded locations of colon, stomach and ovaries increased 21–51% in the 5-year-old phantom and 17–100% in the adult phantom. 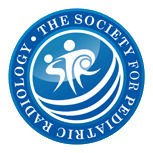 Absorbed organ dose sampled under the shield decreased 67% in the 5-year-old phantom and 16% in the adult phantom. Female gonadal shielding combined with AEC during pelvic radiography increases absorbed dose to organs with greater radiation sensitivity and to unshielded ovaries. Difficulty in proper use of gonadal shields has been well described, and use of female gonadal shielding may be inadvisable given the risks of increasing radiation. The authors acknowledge Eatrice Hinton, RT, and Colleen Flowers, RT, for technical assistance and manuscript review. This calibration curve was used to determine absorbed dose from film dosimeters implanted in the phantoms. To make the curve, we exposed film samples (Gafchromic, Ashland) together with a solid state radiation detector (Black Piranha with an external T20 dose probe; RTI Group AB, Sweden) to multiple known amounts of radiation between 2.17 and 124.4 mGy. The solid state detector is calibrated on a 2-year cycle by the manufacturer’s accredited calibration laboratory (ISO/IEC 17025). During calibration the detector is compared to a reference ion chamber, which is traceable through PTB (Germany) to national or international measurement standards. The standard uncertainty of measurement is in compliance with EAL Publication EA-4/02 and is ±1.4% at standard reference condition. The uncertainty increases to ±2.7% when the T20 probe is used with a calibrated Piranha for radiation dose measurements. We measured film green values from these exposures and fit the calibration green values to a three-parameter hyperbolic decay curve as above, where y = film darkening, or mean green value, and x= absorbed dose in mGy. The film was scanned using a commercially available flatbed optical scanner (Mustek Systems Inc., Taiwan). The resultant images were evaluated with ImageJ 1.48v software (National Institutes of Health, Bethesda, MD), and the curve fit for the data was analyzed using Sigma Plot 13 (Systat Software Inc., San Jose, CA). The coefficient of determination R2=0.996, indicated that the exponential decay function fit the calibration data well. We calculated absorbed dose in our experiments by locating the mean green values of our exposed films along this calibration curve.